Have no doubt that having a pet is going to take up a lot of your time and will require some changes in your habits. But depending on the breed you choose, you might get some time for yourself every once in a while. We have prepared a list of low maintenance dogs that you should really consider if you only have a limited amount of time at your disposal to take care of the dog. We prepared a list of dogs that require little to no grooming, trimming, or stripping and also analyzed their size, ease of training, exercising needs, how often and how much they shed, and life expectancy. Pugs are unexpectedly energetic and loving; before you’ll even know it, you’ll have yourself a new best friend. But like all brachycephalic breeds (dogs with a wider than longer skull and very small noses), they are prone to developing quite a few respiratory problems throughout their lives. The Border Collie is one of the few low maintenance dogs with long coats. You should be prepared to do quite a bit of brushing, but this dog’s coat is quite easy to handle compared to other long coat breeds. They are extremely friendly and get very attached to their masters. They are also very playful and easy-going, so hanging out with your collie will be a daily ritual to look forward to. Boarder Collies are the cutest low maintenance medium dogs out there. This one is a very low maintenance dog because of its incredibly small size and short hair . You can walk it on a leash or just carry it in a dog bag – your Chihuahua will love both options. We recommend the short coat Chihuahua so that you can save time with brushing and grooming. 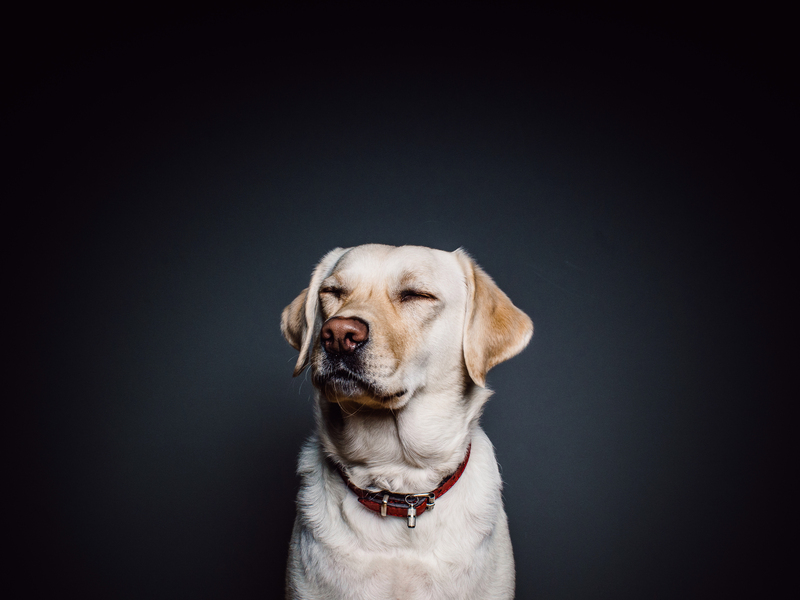 You won’t have to invest too much money in food and preventative care precisely because it is so small, which makes them some of the best small low maintenance dogs out there. The Jack Russell Terrier is like a ray of sunshine. It will always be extremely excited to see you and it will enjoy every single moment of playtime. You should, however, be prepared to visit your local vet’s office quite often because your Jack Russell will get its nose into trouble on a regular basis. Their good personalities and genuinely happy nature will clearly pay off for all the incidents you might encounter. Jack Russels are the most eager low maintenance dogs out there. Fun fact: Jack Russell terriers are actually hunting dogs! So whenever you find yourself close to a pond, be prepared to get your clothes wet because they will most likely chase ducks and other birds! Dachshunds are excellent companions thanks to their excitement, curious nature, and good personality. These short-legged and long-bodied sweethearts are absolutely lovable! 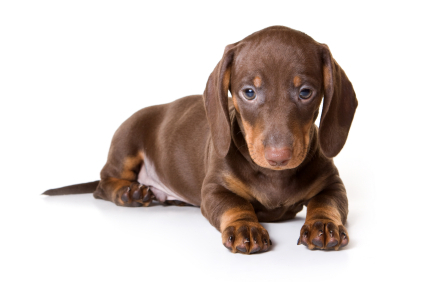 While dog food will not be all that expensive, it is crucial that you make sure that you Dachshund doesn’t gain too much weight because they have a predisposition for obesity. You will have to be strong and resist their begging to keep them healthy and happy for a long time. Nevertheless, they are some of the sweetest low maintenance small dogs out there. Toy fox terriers have a lot to offer, are very energetic, and extremely loyal. As for any small breed, you will have to take your time training them and you will have to be very strict. You need to resist their charms if you want to have a well-mannered dog from there on. Otherwise, it will take on the role of pack leader and it will order you around before you can even realize it. Toy Fox Terriers are some of the most playful low maintenance small dogs out there. German shepherds are some of the most reliable canine companions you could ever have. They are very intelligent, obedient and loyal, alert, very confident, and courageous. The breed is medium-large and is also known as Alsatian in Britain and Ireland. The Miniature Pinscher made this list because it has the character and the energy of a large breed, all in the body of a very small dog. This little guy is extremely perky and curious, which also go well with how naturally intelligent they are. It’s safe to say that play time is lots of fun! 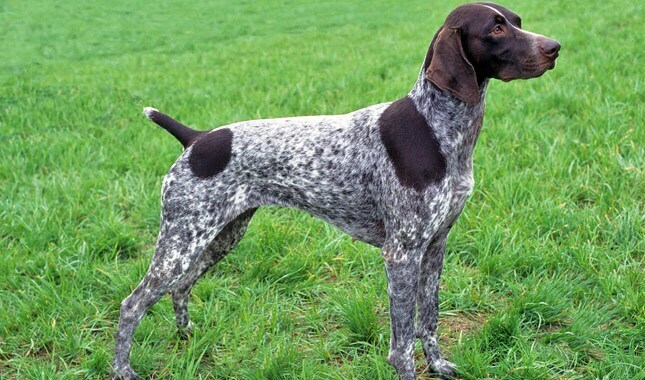 German shorthaired pointers are a versatile breed, very friendly and extremely easy to train. However, they require plenty of exercise as they do have lots of energy, but are low-maintenance as they need very little grooming over the span of their lifetime. Labrador Retrievers are the most adorable low maintenance large dogs out there. They are very loving and loyal, but do need quite a bit of exercise, so you need to have at least an hour to spend with them in the park every day, preferably a backyard too. But their friendly and playful nature gives out so much positive energy that it will make up for having to turn your schedule upside down to prioritize the dog. We hope our list of the 10 best low maintenance dogs has been helpful to you and that you have a better idea of the best-suited dogs for you. Whichever one you choose, you are going to fall in love with it and you will have a new furry best friend to keep you company! Do you have other breed suggestions for this top? What about other criteria you’d like analyzed?